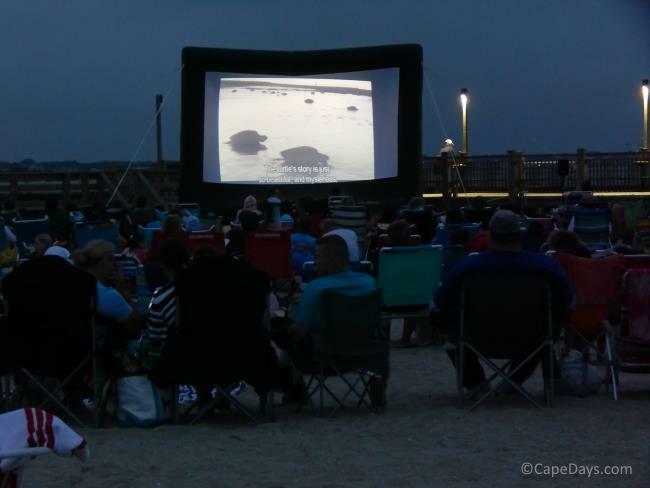 August is prime time for Cape Cod's most popular special events! Summer brings us sandcastle contests at the beach, Boston Pops Esplanade Orchestra's fabulous Pops By The Sea performance, the famous Carnival Week in Provincetown, and a gala "Hookers Ball" under a big white tent. Come on out to POPS By The Sea in Hyannis! 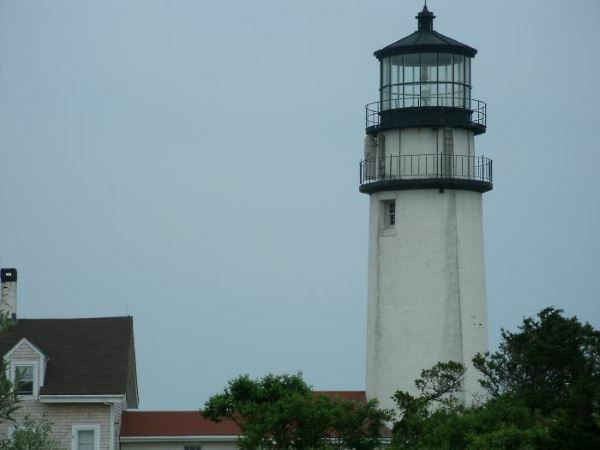 And that's just the beginning of all the fantastic things to do on Cape Cod in August! Dedicated to showcasing and promoting the work of independent, emerging filmmakers, the highly regarded Woods Hole Film Festival draws filmmakers and patrons to Cape Cod from around the world. The Festival showcases more than 100 feature-length films during its 8-day run. Parties, workshops, entertainment, readings and awards round out the week. Note: Tickets/Passes go on sale online in late June. Come out for a ride on one of the most popular attractions in Falmouth - the Carousel of Light. This hand-carved, twirling work of art features 20 wooden horses and 2 wheelchair accessible chariots (including one called "Bubbles" that actually blows bubbles! ), all decked out in a nautical flair. When: August 4, 2018, 6-10 p.m. The name of this event got your attention, didn't it? Hookers Ball is the annual summer gala of the Cape Cod Commercial Fishermen's Alliance. Held under a big white tent on the grounds of the Chatham VFW, this event supports the local fishing community and features the most fabulous seafood Cape Cod has to offer, all supplied by local fishermen. The evening's festivities include live and silent auctions, great music, dancing, and lots of fun. Come on out and support Cape Cod's fleet and coastal community! Note: This is an adults-only (21+) event. ID required. This year's P'town Jazz Festival performances feature the vocals of Cassandre McKinley and the trumpet stylings of Jason Palmer on August 9th at The Crown & Anchor in Provincetown. On August 13th, the Jazz Festival moves to its Cotuit venue, showcasing the Tim Ray Trio and singer-pianist Daryl Sherman. FYI: Tickets to this popular August event sell out quickly. When: August 11, 2019, 5 p.m. Pre-show begins at 2 p.m. 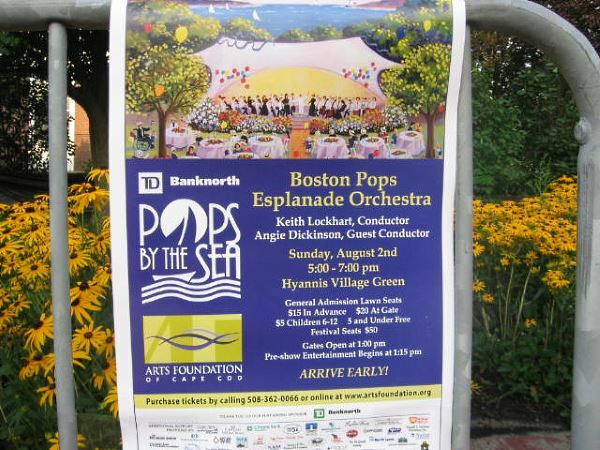 This is your chance to hear the renowned Boston Pops Esplanade Orchestra here on Cape Cod, in a one-of-a-kind performance on the Hyannis Village Green. Each year, orchestra conductor, Keith Lockhart, is joined by a special celebrity "guest conductor". Recent celeb conductors have included Jim Belushi and Blythe Danner taking up the guest baton. Come on out and enjoy an wonderful, family-friendly music event! Events during this wild and famous week in P'town include Carnival's Original Costume Party and the big Carnival Parade, plus boat cruises, dance parties, pool parties and a vendor fair. 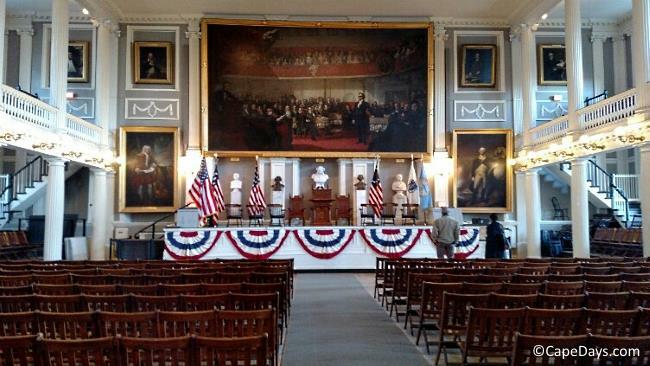 TIP: This is a huge event in Provincetown, and accommodations sell out early. If you're planning to be here for the festivities, book your lodging now! The Walk follows a 3.2 mile route from Town Hall to Surf Drive, then along the Harbor and back along Main Street. (A 1.5 mile shortcut is also available.) The Walk will be followed by a picnic, raffle and auction. All profits go to local Falmouth charities. The New Balance Falmouth Road Race is one of the most anticipated Cape Cod events each August. Over 10,000 runners from Cape Cod and around the world participate in the race each year. Stake out your spectating spot early, then cheer on the runners as they race the scenic route from Woods Hole to the beach at Falmouth Heights. TIP: Lodgings can be tough to come by in Falmouth for race weekend. If you want to be sure of having a place to stay for this event, don't wait! With summer in full swing on Cape Cod, it's the perfect time for a beach bash! On Saturday evening from 6:45-9:15 p.m., West Dennis Beach will be the scene for a beach bonfire, live music and a big fireworks display. Pack your beach chairs and a "portable" dinner, and come join the party! Visit Stony Brook Gristmill for the annual Cornbread Festival featuring samples of home baked cornbread topped with raspberry butter – delicious! Stock up on fresh, stone-ground organic corn meal for your winter cooking. Explore the museum upstairs and enjoy the scenic footpaths beside Stony Brook. Family friendly, fun, and admission is free. Want to Add An Event To This Month's Calendar? Important Note: The date, time, place, admission charges, etc. of the events on this page may be changed by the event sponsor at any time, without my knowledge. Please be sure to confirm all information directly with the sponsor before you make any plans!